I'm not the best chef, to say the least, but sandwiches I can do. This recipe from Giada looks DE-LISH! I really want to try it! 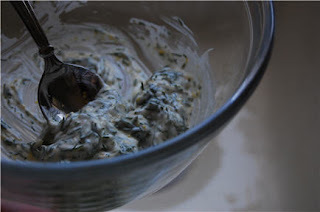 In a small bowl, combine the mayonnaise, lemon zest, lemon juice, and fresh dill. 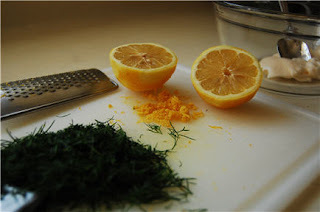 Spread the lemon mayonnaise over 1 side of each slice of bread. Arrange the smoked salmon on 4 slices of the bread. 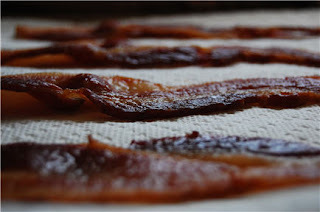 Break the bacon in half and put on top of the smoked salmon. 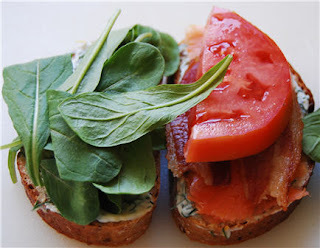 Top the bacon with 1/2 cup of arugula and arrange 2 to 3 tomato slices on top of the arugula. 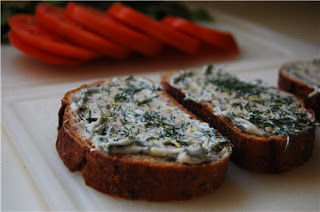 Cover with remaining slices of bread, lemon mayonnaise side down.